Is North Korea really "backing down" on its plan of action for a missile test in the direction of Guam? The country's military briefed President Kim Jong Un on Aug. 14 on the drafted plan during his visit to the Strategic Force of the Korean People's Army, according to a report in the official Korean Central News Agency. The North Korean president then urged Washington to stop its aggressive posturing or Pyongyang "will make an important decision as it already declared." While some in the media are couching this as North Korea backing off its Guam threat, Kim's statement is in line with the original comments by the North's military. On Aug. 10, the military said it would draft the plan, submit it to Kim by mid-month and then he would "keep closely watching the speech and behavior of the U.S." The operational plan was not a firm commitment but a conditional threat for the United States not to push North Korea into "an unavoidable military choice." U.S.-South Korean joint Ulchi-Freedom Guardian exercises will run from Aug. 21-31. There are still five days before the start of the exercises and over two weeks until they end — a great deal of time for North Korea to weigh its options. U.S. Secretary of Defense James Mattis warned North Korea on Aug. 14 that a test near Guam risked sparking war and that U.S. forces would shoot down any device that looked as if it would strike the island. The United States (and Japan, which the missiles would fly over) have likely drafted scenarios under which a missile flight constitutes a threat requiring action to intercept the projectile. Key North Korean ambassadors (including envoys to China, Russia and the United Nations) even returned to North Korea on Aug. 14 for a meeting on policy coordination. The ongoing stand-off between Indian and Chinese soldiers in the Doklam tri-junction area is not an unexpected outcome of the steady slide in India-China relations over the last few years. While the construction of a road by the Chinese for military purposes in Bhutanese territory — disputed by the Chinese — was most likely a calculated provocation, the underlying strategic motives as also the timing of this action, remain unclear. Is it a warning to India about its deepening US relationship; or a move to prise Bhutan out of the Indian embrace; or to express annoyance with the Indian rejection of OBOR? Or is it a combination of all the above and the intent is to “teach a lesson” to a disconcertingly resurgent India? Given that China is presently confronting several issues of critical strategic import, such as the North Korean crisis, the deepening US defence relationship with Taiwan, the rising tensions in the South China sea, the logic and the timing of the confrontation with India in a remote corner of the Himalayas defies easy explanation. Add to this is the fact that President Xi Jinping is coming up for re-election for a second term in the crucial 19th plenum of the Communist Party to be held in October. Given the extreme positions taken by the Chinese, a withdrawal would involve an unacceptable loss of face. On the other hand, an escalation would scarcely buttress Xi’s standing domestically, while severely denting it internationally. In fact, an armed conflict could risk derailing the OBOR project in which Xi is heavily invested. Unlike past imperialisms, coercion and commerce do not mix easily in present times. 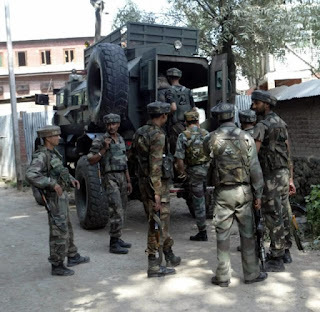 Al-Qaeda in the Indian Subcontinent (AQIS), the official South Asian branch of the transnational al-Qaeda network, has spread its tentacles in the region beyond its strongholds. Beyond Afghanistan, Pakistan and Bangladesh, its influence has reached neighboring India and Myanmar. 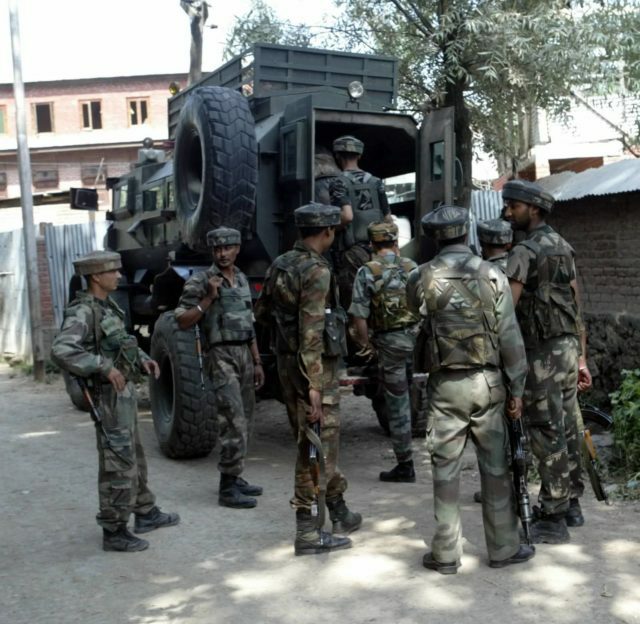 The emergence of the so-called Base Movement AQIS has not only found support and garnered much ground over the past few years with the existing militant formations and disgruntled militants in India, but it has also taken advantage of existing community conflicts, mostly in southern India, and troubled Kashmir in the north. Al-Qaeda’s South Asian branch is headquartered in Pakistan and Afghanistan, but it has been attempting to infiltrate India since September 2014, when Ayman al-Zawahiri announced the formation of this dedicated South Asia branch (in Arabic, Jamaat Qaidat al-jihad fishibhi al-Qarrat al-Hindiya). However, with a relatively strong presence in neighboring Bangladesh and Pakistan, AQIS has struggled to make headway in India, despite the efforts of its chief, Sheikh Asim Umar — his legal name is Sana ul Haq— an Indian national from Sambhal, Uttar Pradesh, who is now based in Pakistan. Will Doval hold the line, disregarding the ‘Beijing Syndrome’? NSA Ajit Doval leaves for Beijing to confer with his opposite number on the Special Representative-level talks to resolve the border dispute, the State Counselor Yang Jiechi. But Doval is being welcomed by a barrage, to add to the verbal fusillade by the Chinese defence ministry, of rhetorical escalation now involving the Foreign Minister Wang Yi. In a censorious tone that almost sounds comical, he asked Delhi to “conscientiously withdraw its troops”. Yes, there has been an invasion, as Beijing claims, but it is by the Peoples Liberation Army elements on Bhutanese territory, and the sooner the Zhongnanhai recovers a bit of sanity and restores the status quo ante, the better it will be for China. Because already it has gone way out on a limb and, with most of the small and big states in Asia and elsewhere watching, has more face to lose when eventually it backs down from an untenable position, as it will have to. For the first time the Indian government has shown some spine and, more, displayed considerable cunning in giving Beijing a very big stage to publicly make a fool of itself. The initial resolve to ensure the intruding PLA troops don’t have their way on the Doklam Plateau and the Indian jawans and officers standing their ground, backed by a determined build-up in the rear areas, was as powerful a move as it was unexpected, especially to the Chinese. The confusion it sowed in the Chinese ranks bubbled up all the way through the Xigatze, Chengdu military commands to Beijing and is manifested in precisely the spate of nervously impolitic statements issued by all and sundry. China has been pushed on to the backfoot and it will be good to keep it there. 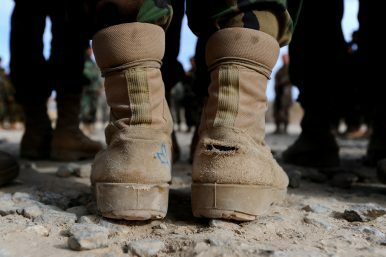 WASHINGTON (AP) — Sixteen years of U.S. warfare in Afghanistan have left the insurgents as strong as ever and the nation’s future precarious. Facing a quagmire, President Donald Trump on Monday outlined his strategy for “victory” in a country that has historically snared great powers and defied easy solutions. 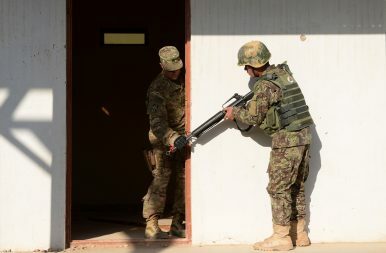 America’s longest-running war began well as U.S.-led forces quickly toppled the Taliban government and disrupted al-Qaida leaders who plotted the Sept. 11, 2001, attacks from Afghan soil. But the fighting never ended. In recent years, security has gradually worsened as Taliban insurgents, enjoying sanctuary in Pakistan, have gained a foothold across the country. Afghanistan’s rampant heroin trade, official corruption and infighting among the nation’s elite have only compounded problems. Less than a month after the 9/11 attacks, a massive U.S. air campaign targets al-Qaida fighters and Taliban troops, training camps and air defenses. Anti-Taliban forces of the Northern Alliance enter Kabul as the Taliban flee. Counterterrorism is in and nation-building is out, but the United States still has no way out of Afghanistan. On Monday evening, U.S. President Donald J. Trump delivered an anticipated address outlining the United States’ goals for Afghanistan, where after 16 years of war, at least 8,400 U.S. troops remain as the Taliban and other militant groups continue to seize territory from the U.S.-backed Afghan government. Trump did not speak off-the-cuff, instead sticking to prepared remarks delivered from a teleprompter. Contrary to leaks before the speech suggesting he would introduce a modest surge of 3,900 to 4,000 troops, Trump did not offer a specific troop level number. Moreover, he did not explicitly outline or clarify a strategic end-state for Afghanistan beyond promising terrorists a “decisive defeat.” Therein was the primary focus of Trump’s speech: terrorism and counterterrorism. He offered what he thought sounded like a “clear definition” of victory. It was almost entirely focused on counterterrorism: Our troops will fight to win. From now on, victory will have a clear definition: attacking our enemies, obliterating ISIS, crushing al-Qaeda, preventing the Taliban from taking over the country, and stopping mass terror attacks against Americans before they emerge. It was concerning early on that it took Trump roughly ten minutes into a speech on Afghanistan and U.S. policy in Afghanistan to mention the Taliban by name and address the Afghan government. The speech was framed with a recounting of the results of the United States’ withdrawal from Iraq, which Trump said created the conditions for the eventual rise of the Islamic State. The Sino-Indian border crisis is framed amidst colonial treaties, old nationalisms, new entitlements. 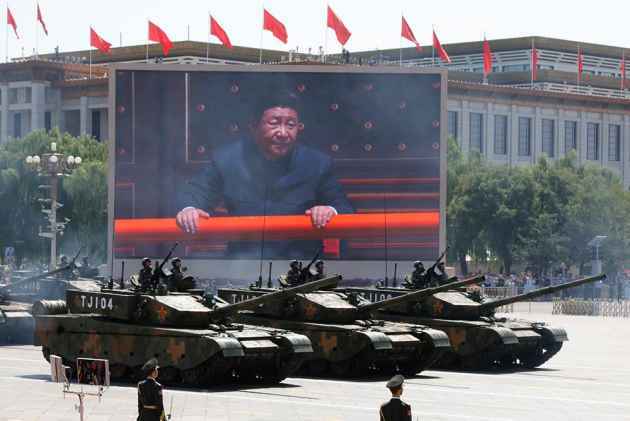 The economic-military edge is with China, yet a conflict would hurt its ‘dream’ as much as ours. India is holding on, but the brink is a dangerous place to hold on to. War arrives unexpectedly. Sometimes a simmering crisis erupts, at other times an unscrupulous leader seeks gain by surprise attack, at other times events simply drift out of control. The biggest problem for those who initiate war is to figure out its scope and when and how it will end, simply because there are too many variables at play. As the saying goes, no war plan survives contact with the enemy. If war between two nucl­ear-armed states is itself self-destructive, limited war is a chimera best avoided. 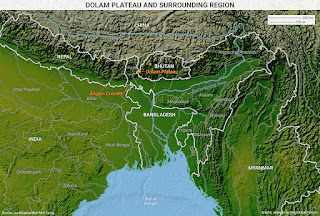 Anyway, if there was war over Doklam, it would probably be the strangest war ever. It would be over the ‘invasion’—of the extent of 180 metres—of a huge, nuclear-armed country, with the biggest army in the world, by a large but significantly weaker adversary. 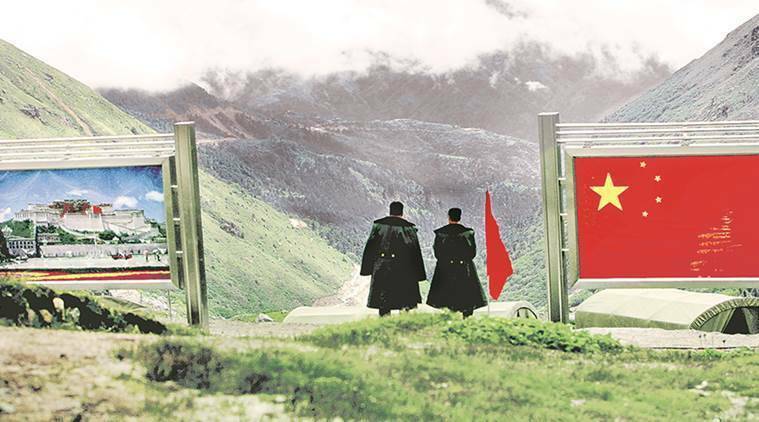 Yes, that’s the distance the “invading force” of 40-400 Indian soldiers have travelled into territory China claims as its own, according to a detailed document issued by the Chinese foreign office on August 2, but which is contested by India and Bhutan. Is China Winning the Scramble for Eurasia? Roads, railways and other new connections are reshaping the Eurasian supercontinent and creating new forms of competition as well as cooperation. WASHINGTON (AP) — The U.S. intelligence agencies’ assessments of the size of North Korea’s nuclear arsenal have a wide gap between high and low estimates. Size matters and not knowing makes it harder for the United States to develop a policy for deterrence and defend itself and allies in the region. The secrecy of North Korea’s nuclear program, the underground nature of its test explosions and the location of its uranium-enrichment activity has made it historically difficult to assess its capabilities. Some U.S. assessments conclude North Korea has produced or can make around 30 to 60 nuclear weapons, said two U.S. officials who weren’t authorized to discuss sensitive intelligence matters and demanded anonymity. Such a wide range affects how the U.S. considers addressing the threat. More North Korean bombs could indicate second-strike capacity and then there are questions about how much nuclear firepower the country could mobilize on a moment’s notice. Estimates by civilian experts cloud the picture even further. Most put the arsenal anywhere from a dozen to about 30 weapons. HONG KONG — What would it look like if North Korea goes to war against the United States and its allies? For a sense of scope, the military situation is infinitely more complicated and sinister on the Korean Peninsula than it was in Iraq in 1991 and 2003. The crucial difference, obviously, is that North Korea has nuclear weapons and, increasingly, sounds as if it is willing to use them. A retired senior American general said this week that if Pyongyang launched a nuclear attack Washington could respond with such crushing force that the country would be obliterated in 15 minutes. This is not an idle boast. If the U.S responded with nuclear force, it would quickly destroy the command, control and communications that North Korea uses to coordinate and direct its nuclear networks. The collateral damage if nuclear weapons are involved would be horrendous in terms of northern civilians killed in the blasts, and in longer-term casualties in both Koreas and Japan. It is hard to believe the State Department, or military commanders, would ever back such an attack. But if North Korea’s nuclear threats continue, an allied response that would not start out nuclear could soon end up being so. After years of worry over North Korea’s nuclear weapons program, it appears that the Kim Jong Un regime is steps away from being able to drop a nuke on the United States. A missile test in July revealed that North Korea has an Intercontinental Ballistic Missile that might be able to reach Chicago— then, last week, a confidential U.S. intelligence assessment suggested that the nation could have miniaturized nuclear warheads that can fit onto missiles, too. Intelligence officers sometimes talk about “blowback,” when covert actions go bad and end up damaging the country that initiated them. A year later, that is surely the case with Russia’s secret attempt to meddle in the U.S. presidential election, which has brought a string of adverse unintended consequences for Moscow. The Kremlin is still issuing cocky statements accusing the United States of “political schizophrenia” in its response to Russian hacking. And there are vestiges of the triumphal tone I encountered in Moscow this summer — a sense that the United States is in decline and that a mistreated but resurgent Russia is in the driver’s seat. But Russia’s confidence must be flagging. Interference in the U.S. election has created antibodies to Russian power: America is angry, Europe is newly vigilant, and Syria and Ukraine are becoming quagmires. Moscow remains a dangerously ambitious revanchist power, but its geopolitical goals look harder to achieve now than they did a year ago. Despite modernized communication systems, the Pentomic division also posed command-and-control problems. The colonel in charge of a battle group had to direct five to nine companies at a time once typical supporting units were accounted for, rather than the three to five a battalion commander would normally have to deal with. This was more than most officers could efficiently keep track of. The lack of a regimental organization also distorted the Army’s rank structure. The armies of Australia, Spain, Turkey and West Germany all considered adopting the Pentomic structure—and all gave up on it within a few years. Today the use of nuclear weapons is a near-unthinkable military option of last resort. But back in the 1950s, that norm had yet to be established. The U.S. Army believed then that in the event of war with the Soviet Union, tactical nukes would be landing left and right across the battlefield. It therefore fielded the “Pentomic” division to fight on the anticipated nuclear hellscape. It even gave battalion-level commanders access to short-range nuclear shells, which risked blasting the units that fired them. The motive behind the Pentomic divisions may have been more political than military. In the 1950s, the Eisenhower administration believed nuclear weapons were so powerful that conventional ground troops would be rendered irrelevant. The doctrine of “massive retaliation” dictated that the United States would respond to any Soviet attack with full-scale nuclear attack. Indeed, Eisenhower even considered going nuclear to prevent Vietnamese and Chinese Communist forces from securing battlefield victories that were hardly direct threats to U.S. national security. Shortly after midnight on Aug. 12, Jerry Varnell slid behind the wheel of a stolen van and headed for his chosen target, the BancFirst building in Oklahoma City. As he drove toward the bank, he nervously watched for police along his route, fearing that the 1,000-pound bomb in the back of the van would be discovered and his attack thwarted. However, Varnell's drive went without incident and he was able to park the van at a loading dock next to the bank and leave the area on foot without detection. He checked the device, armed it and then quickly walked to the parked car where an associate was waiting. After they had driven a safe distance away, Varnell used his partner's burner cellphone to dial the number that would activate the bomb and leave the bank building a smoldering pile of rubble. But to his disappointment, the device did not detonate after the first call, so Varnell dialed the number a second and then a third time - after which he was arrested. To Varnell's surprise, he learned that his associate was a member of the FBI and the huge bomb he had assembled in the back of the "stolen" van was an elaborate fake that was part of a sting operation. Such sting operations are not unusual; the FBI has conducted dozens of them since 9/11. In this case, however, Varnell was not a grassroots jihadist radicalized by al Qaeda or Islamic State, or even an anarchist; he was a member of the anti-government militia movement, which has a long and deadly history of violence. Digital attackers in most industries can severely drain the profits and revenues of incumbent players, as we have shown in recent research. Companies under pressure, though, can limit the damage if they adopt an offensive corporate strategy, one that involves willingly cannibalizing existing businesses and reallocating resources aggressively to new digital models. Which digital business model—when deployed offensively—offers the best odds for regaining lost ground? We dug deeper into the data from our survey of more than 2,100 global executives1and found that going beyond the mere digital delivery of products or services and setting up an online marketplace correlates with markedly improved performance at established companies. Digital technologies and the pace of competition, however, also open new avenues to organic growth for those companies that have the capabilities and dexterity to take advantage of them. Today’s fastest growers, for example, price products in real time; they create meaningful and positive customer experiences with digital interactions; and they refine products continually with customer feedback. To understand the relationship between organic growth approaches, capabilities, and performance in this environment, we recently surveyed approximately 600 executives at leading companies in the European Union and North America.1We found that companies exhibit three basic growth tendencies; that an approach combining two or more of these holds particular power in driving growth; that advanced analytics is an ingredient of standout growth; and that success depends on nurturing a set of reinforcing capabilities that fit the growth approach. People like to talk about how the future of warfare will be different, but it has already started to arrive. For some years now, the beginnings of major shifts in the character of warfare have been visible in places like eastern Ukraine and the Middle East. Across these battlefields, rival powers made investments and developed doctrine, providing ample evidence that future wars promise extreme lethality not seen since World War II. The hybrid warfare underway in the Middle East and eastern Europe is a small-scale preview. The next fight will be defined by a violent intensity that will test the U.S. military’s might in the cauldron of battle. As leading scholars and policymakers have discussed, revisionist and increasingly belligerent actors are working to erode the pillars of the global political and economic system that evolved since World War II and reached a high point after the Cold War. In attempting to remake the global order, these actors are developing and employing technologies and tactics that offset America’s military dominance on land, at sea, in the air, and in space and cyberspace. North Korea’s intercontinental ballistic missiles capable of reaching the United States territory are the most immediate threat. Its strategic military advances have refocused Washington on the harsh realities of nuclear proliferation. Over the longer term, peer and near-peer revisionism promise a greater challenge to American power and its security, as well as that of its allies. As peer-level powers rise economically or near-peer adversaries demonstrate disregard for sovereign borders, the risks of a confrontation with the United States grow. These peer-level adversaries further complicate the United States’ position by combining their military buildup and modernization efforts with posturing against international norms. 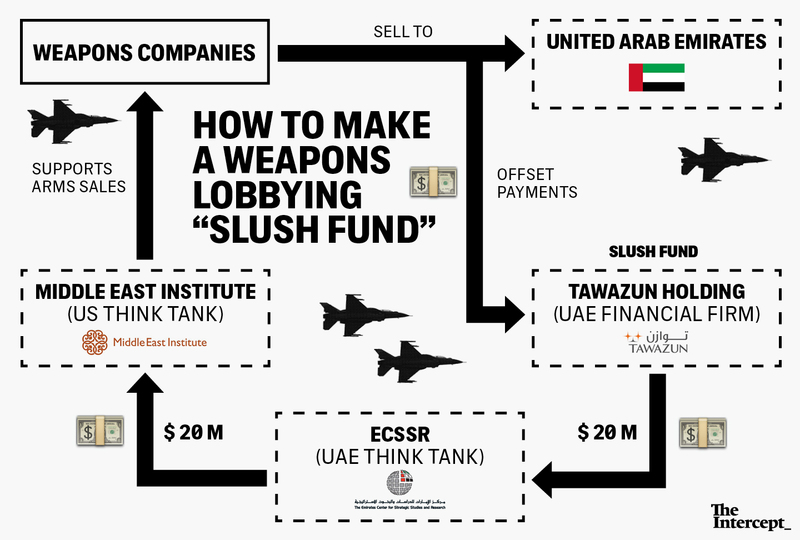 THE UNITED ARAB EMIRATES created a “slush fund” using money meant for domestic economic development projects and funneled it to a high-profile think tank in the United States, emails obtained by The Intercept show. Last week, The Intercept reported that the UAE gave a $20 million grant to the Middle East Institute, flooding a well-regarded D.C. think tank with a monetary grant larger than its annual budget. According to an email from Richard Clarke, MEI’s chairman of the board, the UAE got the money from offset investments — development investments by international companies that are made as part of trade agreements. The idea behind offset agreements is simple: When a country buys weapons from a firm overseas, it pumps a large amount of money out of its economy, instead of investing in its own defense industry or in other domestic projects. So to make large weapons deals more attractive, arms companies offer programs to “offset” that effect. As part of a weapons package, they often sign an agreement to invest in the country’s economy, either in defense or civilian sectors. World War III has started, and almost no one seems to have noticed. Or perhaps the Cold War is a better analogy, if the Cold War had 20 sides fighting each other all at once and, again, if almost no one was paying enough attention to realize what is going on. At least, this is what Alexander Klimburg insists in The Darkening Web, his new book on the battles of cyberspace. It's a quiet war, in the sense that few have died thus far, but it has the potential to be murderous, and every year raises the stakes of that war. The Chinese may be the world's leading players, but in November 2014, North Korea raised its status by stealing and posting publicly confidential information from the Sony corporation, and then erasing Sony's computers—all in revenge for a minor comedy film mocking Kim Jong Un. And then, of course, there are the Russians, both on the level of government and the level of individual criminals. In December 2015, during the Russian Army's push into Ukraine, Klimburg points out, "Ukraine became the first country to suffer a verified large-scale cyber attack on its critical infrastructure. Over 225,000 Ukrainians lost their light and heating in the middle of winter when a cyberattack disabled part of the country's power grid." Meanwhile, we have hackers for money and hackers for mischief and even hackers on a mission, conducting distributed-denial-of-service attacks and information thefts in the name of one ideology or another. This spring, 16 hospitals in Great Britain were shut down by the WannaCry ransomware virus, which locked patients' computerized records until a small ransom had been paid to a bitcoin account. Similar attacks occurred across Europe and in the United States. While the specifics of Russia’s interference in the 2016 American election remain unclear, no one doubts that Moscow has built a robust technological arsenal for waging cyberattacks. And as tensions between the two countries rise, there’s a good chance President Vladimir Putin will consider using them against American interests — if he hasn’t already. A cyberwar could quickly become a real war, with real weapons and casualties. And yet for all the destructive potential of cyberwarfare, there are precious few norms regarding how such conflict should be conducted — or better yet, avoided. The characteristics of the cybersecurity war in which the United States is now engaged are not dissimilar from any team sporting contest. Whether in football, baseball or basketball, the game is won or lost on four key elements. Winning almost always comes down to offense, defense, coaching, and playbook execution. In cybersecurity, winners and losers are defined by their ability to beat their opponent in education, information, technology and economics. We have seen in recent years that the U.S. government and U.S. businesses do not possess a superior advantage in any of those four key categories. In education, our colleges and universities have failed to develop and deliver cybersecurity programs to their students — on such a mass scale that in all but a small handful of colleges, it is hard to find cybersecurity courses even within computer science programs. Businesses have failed to educate their employees on the fundamental cybersecurity issues surrounding their specific job duties. We have tons of educational programs aimed at social sensitivity training but none targeted toward an understanding of common cyberthreats or the precautions necessary to avoid being hacked. While we possess little of the knowledge and skills necessary to compete with a global cybersecurity threat, our adversaries have focused enormous energy and expense on building a trained workforce. Such teams have extraordinary skills to not only deal with threats but to also militarize that knowledge as part of an active cyberoffensive that's prepared for global conflict. As an example, North Korea began training electronic warfare soldiers well before the internet era, and selected math prodigies and trained them to become software developers, online psychological warfare experts, and hackers. With cyberwarfare, the battlefield is going online. Here's everything you need to know. At its core, cyberwarfare is the use of digital attacks by one state to disrupt the computer systems of another in order to create significant damage or destruction. 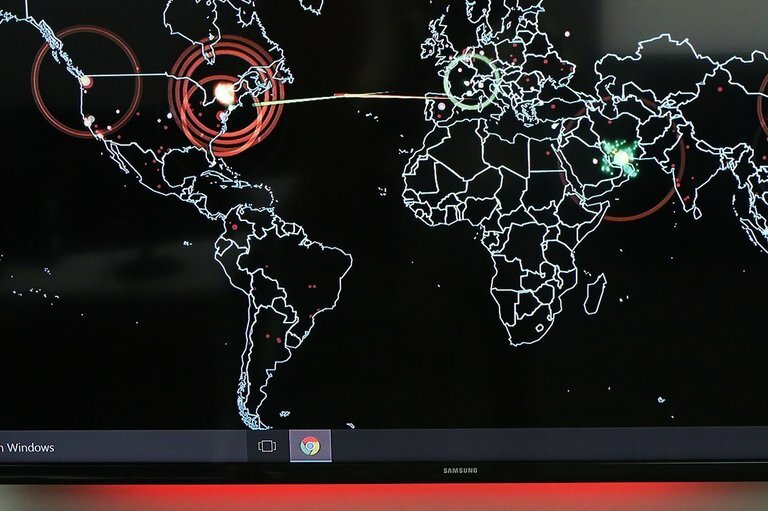 What does cyberwarfare look like? Cyberwar is still an emerging concept, but many experts are concerned that it is likely to be a significant component of any future conflicts. As well as troops using conventional weapons like guns and missiles, future battles will also be fought by hackers manipulating computer code. Governments and intelligence agencies worry that digital attacks against vital infrastructure -- like banking systems or power grids -- will give attackers a way of bypassing a country's traditional defences. If anyone doubts the intentions of the Chinese to achieve world dominance in cyberspace, look no further than their investment in artificial intelligence (AI). If their clear leadership in quantum computing isn’t enough evidence of their looming authority in what may be the final frontier, they have doubled down on developing the most advanced applications of AI on the planet. Huge amounts of money are pouring into these technologies from China’s “private sector” investors, big internet companies, and its government, driven by the conviction that AI and quantum can remake their national security programs along with vast sectors of their economy. Has it occurred to anyone yet that yelling at each other over the direction of our moral compass and playing chicken with a lunatic dictator-child characterizes a nation that probably doesn’t have its priorities in order? China now has three significant advantages in this global arms race: an enormous pool of highly skilled and well-trained engineers and data scientists to work on the architecture and technology of cyberwarfare, a willing and legally unrestricted test data lake from 750 million internet users, and government leadership with political and financial support. NRN Diatribes Push Sikka Out Of Infy: Is He Doing Damage To Company He Built? The big question is this: is Murthy, in his alleged campaign to force the company to stick to high standards of corporate governance, now effectively damaging its ability to set itself right? The resignation of Vishal Sikka, managing director and CEO of Infosys, is indicative of what can happen to a company when the founders are unwilling to let go. For the last few months, Sikka and the Infosys board have been targeted by founder N R Narayana Murthy for alleged acts of corporate misgovernance, but it is far from clear that Murthy himself is not doing damage to the reputation of the company he built. An iconic company can live with a few bad corporate decisions, but not with an atmosphere of mistrust and suspicion between founders, board, and the top management. That this mistrust has precipitated by Murthy himself is obvious from his tendency to leak sensitive material to the media even before the board can take up the issue.